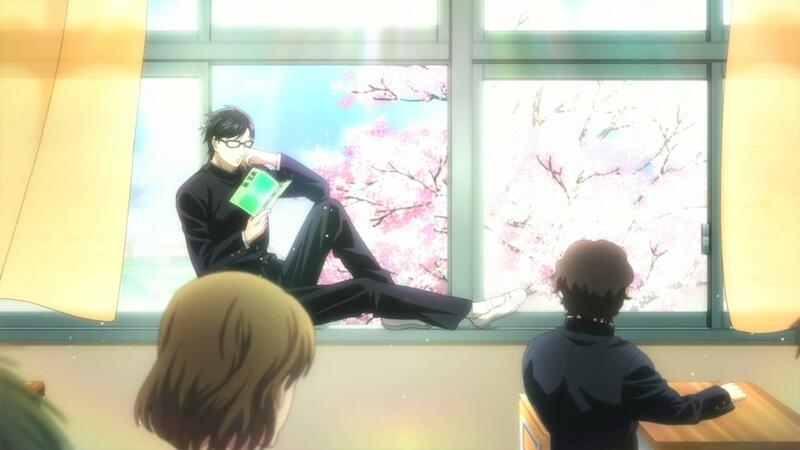 Sakamoto is a comically perfect dude. All the girls love him and all the guys hate him, until the guys start to love him too. 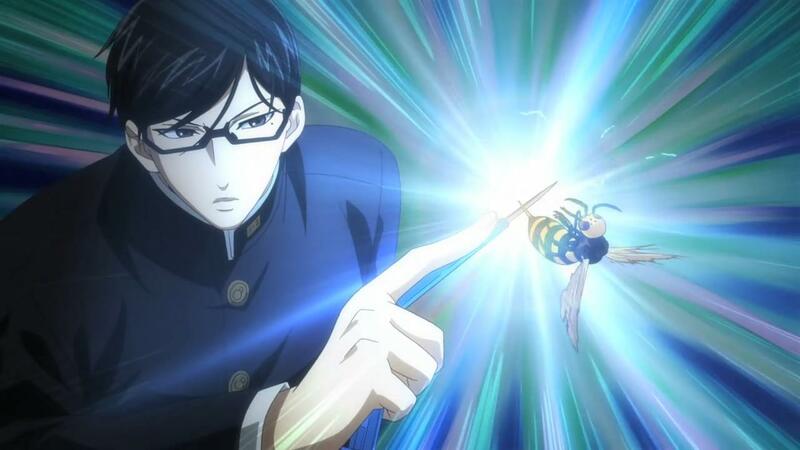 The comedic concept of someone who is over-the-top perfect in every way can be a good one, but Sakamoto doesn’t take its one-note premise far enough in the first episode. The funniest skit is the one where he flies through a typhoon to rescue a small bird, defying the laws of physics. The others are too mundane and too similar, especially when paired with that one in a 24-minute episode. If this show were a 5-minute short, I could see it being significantly funnier, especially since it would have less time to wear out its singular gag. I’m pretty much with Iro on this one – the only way this premise works is if it’s stretched to mind-boggling extremes of silliness, and the show just doesn’t do that often enough for it to be consistently funny. The longest segment of this first episode is the crushingly dull ‘kidnap’ plot and all of the other sketches are hit and miss, with the exception of the gloriously over the top bird rescue. There’s the occasional good sight gag – the ‘sitting down without a chair’ one is my fave- but there’s too little spark here to power a joke for even one 22 minute episode. More screwball, less talking please. I was at least mildly entertained by this premiere the whole way through, but I was also expecting more. I usually quite enjoy gag comedies that manage to pull off the deadpan delivery – timed right, they can make for some of the funniest material out there regardless of what the actual joke is. 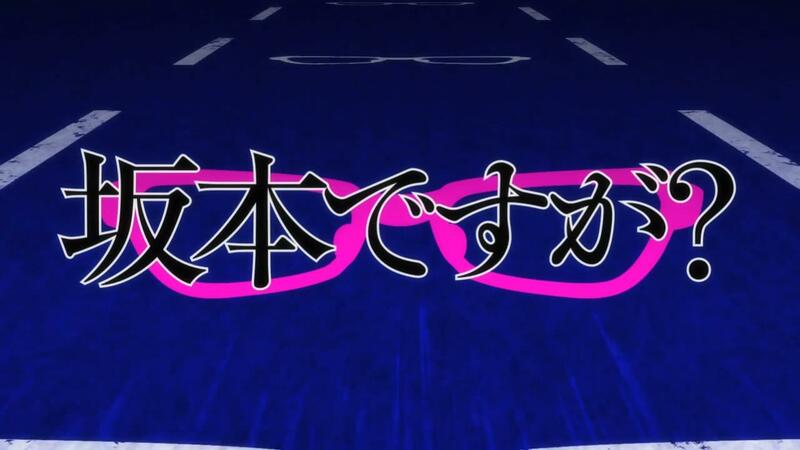 The problem with Sakamoto isn’t the timing though, it’s that it doesn’t feel as though it’s fully committing. The only way these jokes can really work is if they’re dialled up to 110% at all times, so I think the show would do a lot better if it threw more energy into making every single moment as over-the-top and crazy as possible. The bigger the disjoint between that deadpan delivery and what’s actually happening onscreen, the funnier it’ll be. The raw potential is already there though, as evidenced by some of those visual shots. This might not be the best comedy of the season (I don’t care if everyone else finds it dull as dishwater, I’m a loud and proud Tanaka-kun fangirl), but Sakamoto definitely wins in the screencap department. Certainly amusing frist ep, just not enough. When the classmate comes in with the magnifying glass and newspaper it killed me. ja!